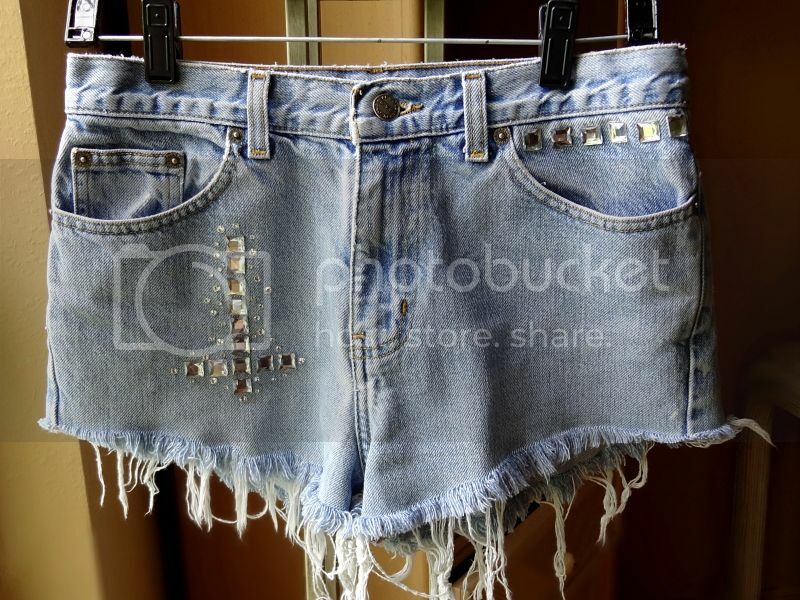 Its very simple, create the symbol or design you want on the shorts (In my case I used an upsidedown cross), place all the rhine stones down and begin picking up one by one and glue them down. On drop of glue on the back of the stone, and one on the area of denim you want it to be. 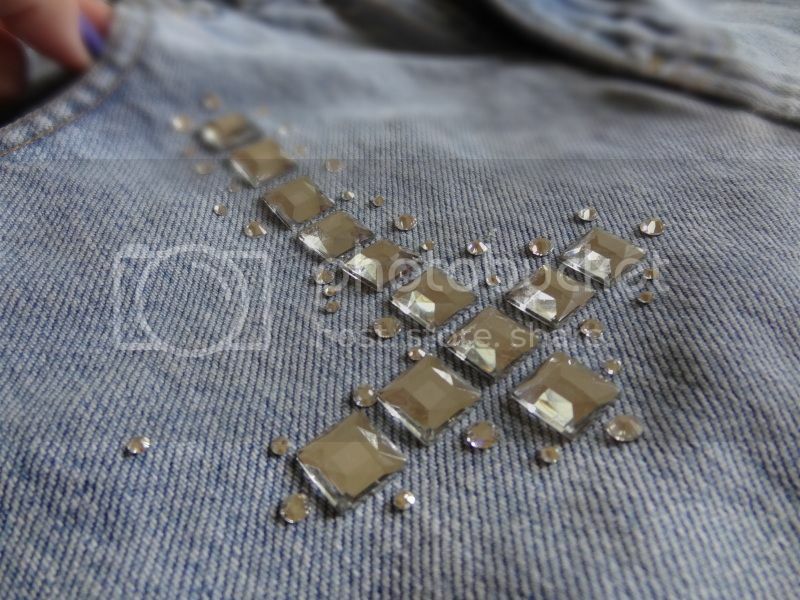 One drop of glue on the back of the stone, and one on the area of denim you want it to be. Make sure you keep your design straight and even throughout the process though, you don't want to turn up with a wonky cross. (unless thats what your going for). 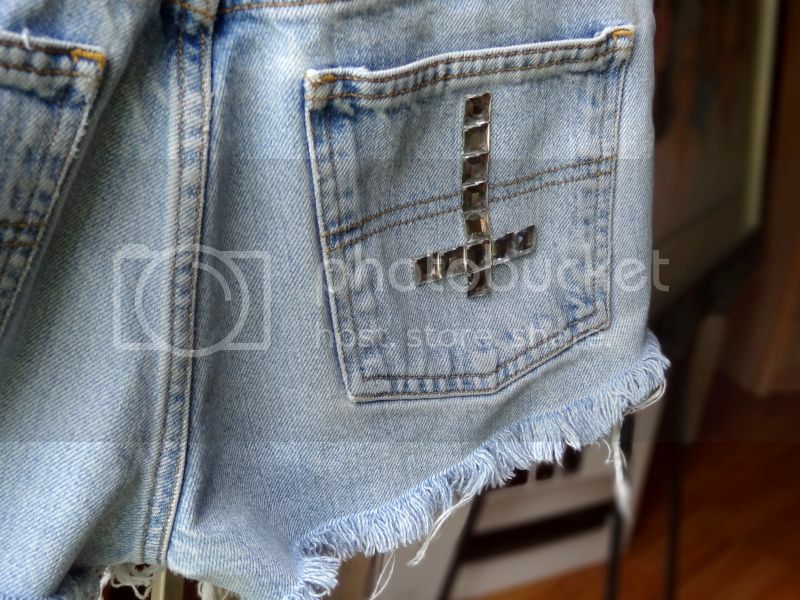 Now as you saw I started out with just a cross, like the one on the back pocket, but that was too plain for me. AND I really liked the starburst look so I added a bunch of Swavorski crystals around it and LOVE how it turned out! You can use any type of little crystals but of course Swavorski is higher grade, shine more, and came in multiple sizes which was nice. Then after its all glued down, wait at least an hour to dry, and after 24 hrs they are washable. Then Voila! Your done. 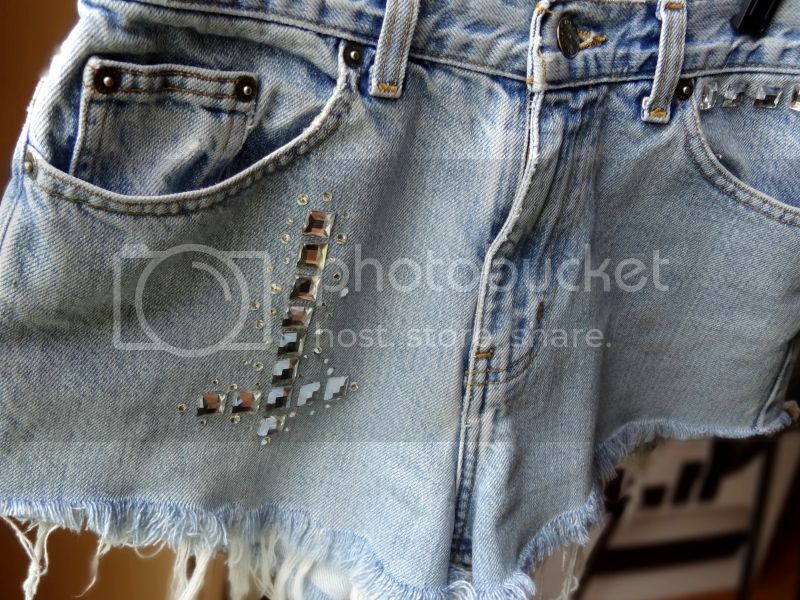 Cool embellished cutoffs for a fraction of the going price. TOTAL PRICE: 15$. 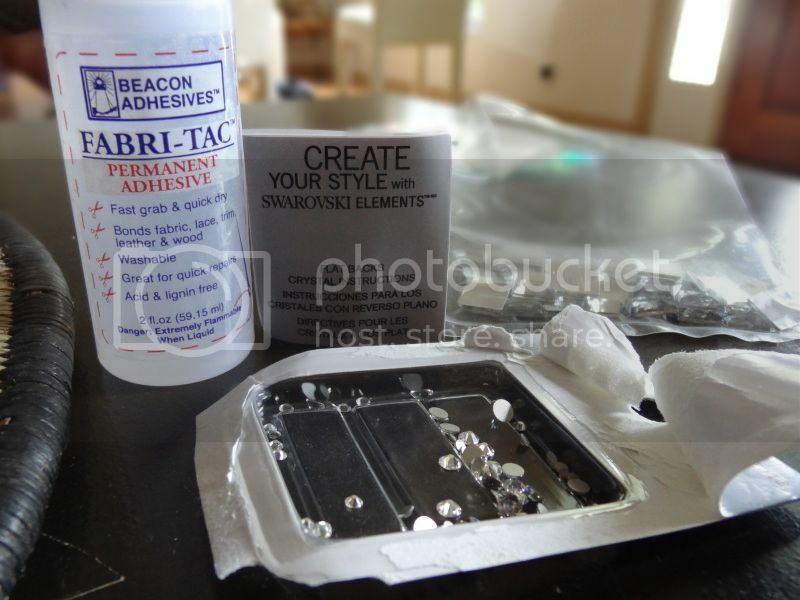 And I still have almost a FULL bottle of glue and half of all the rhinestones I used. Oh and i just like to say the fabritac REALLY worked well on denim- a pleasant surprise. Hope you guys all found this helpful and inspiring! I love what you did to spice these shorts up. They look great with the embellishments. You did a great job and I love your belt!